Create a festive dinner table with these fun placecards. Simply write a guest's name on the card and place cards on the table so guests know where to sit. 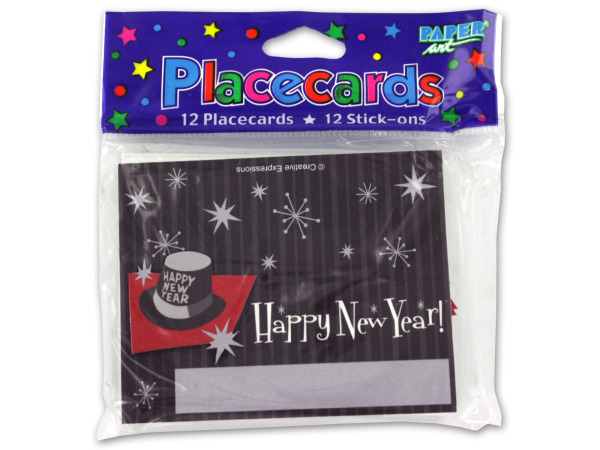 These feature a New Year's theme and include a design of silver stars on a black background and a "Happy New Year" hat. When folded to place on the table, these measure 4" x 3". Includes 12 pieces.